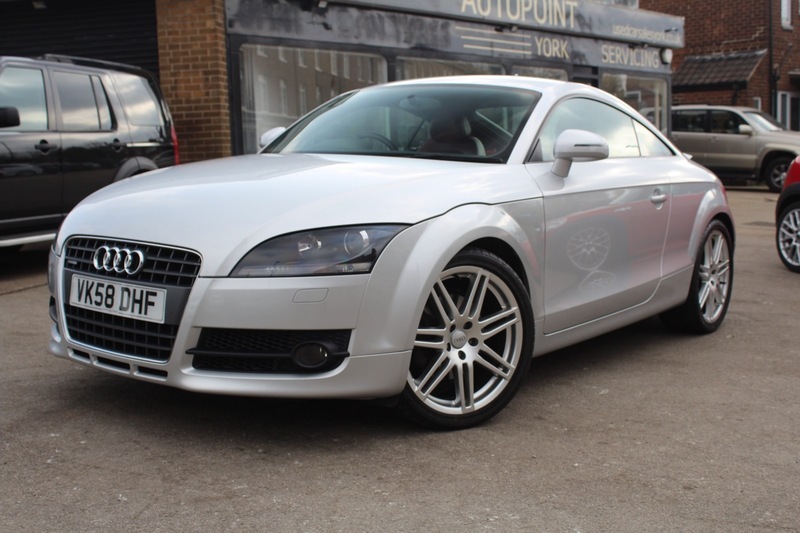 Here we have our Audi TT TDI Quattro finished in Silver and Desirable Full Red Leather. The TT comes with with Full Service History and is in great condition throughout. The Audi also comes with ABS, Air Conditioning, Bose Sound System, S Line Alloy Wheels, CD Player, Climate Control, Electric Windows, Rear Spoiler, PAS, Cup Holders, Electric Mirrors, Four Wheel Drive Quattro System, Front Fog Lights, Full Red Leather Seats, Headlight Washers and Steering Wheel Controls.